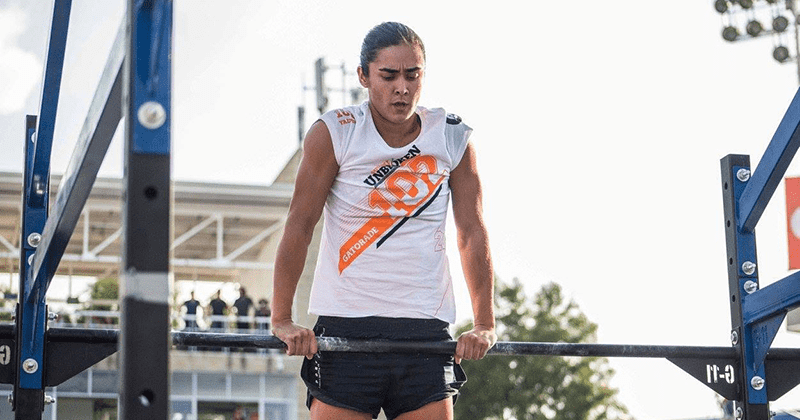 We talked to the rising star about the Mexican Crossfit Scene, tips for staying strong under pressure, and why she excels when WODs get hard! I’m 27, from Guadalajara, Mexico and I graduated with a degree in nutrition in 2009. I’m a professional CrossFit athlete and I have been working as a head coach and CrossFit kids coach in Distrito CF. I also give talks on sports and nutrition for SportMed in Mexico City, Monterrey and Guadalajara. Since childhood I have been inculcated about the importance of playing sports. I have gone through different sports, but practicing in a more formal way were gymnastics and athletics. I was an Olympic gymnast from 7 – 14 years old. The last 4 years competing as a member of Jalisco selection. I’m sure that gymnastics was the sport that formed my discipline and consistancy as a top athlete and person. After I retired from gymnastics I started athletics for 4 years, 3 years as part of the Jalisco selection in the 100m hurdles, long jump and sprint medley relay for one occasion. I excelled in both sports, but with few achievements nationwide. So how were you introduced to Crossfit? I started CrossFit in September 2012, three years ago. I was invited to try it at Distrito CF on the first day the box opened. Ricardo Mora, my coach and head coach of the box was my university classmate. He was my direct contact to this discipline. That day I arrived without any idea of what CrossFit was about, the opening WOD was ‘Cindy’ obviously doing Jumping Pull Ups. It was really challenging for me because in each WOD I had to scale a movement or weight and I had the ambition of being able to be RX, and I’m still here trying to achieve do it. Fifth place, The Ultimate WOD , Acapulco 2015 . First place, Gatorade Unbroken , Guadalajara 2015 . Fifteenth place, Open Latin America 2014 . My principal and most important goal for me is to get a good result in The Open of Latin America, and achieve my pass to the South Regional 2016. I also want to Improve my competition abilities, especially with international athletes and increasing my weights, is a goal that I have to work on a lot. Why did you move from Gymnastics into Crossfit? What attracted you? Actually, after gymnastics I trained athletics for four years. During that time I started my college education in Nutrition and my university did not have support for sports teams, so the situation started to get complicated because my athletics training sessions were becoming more intense and demanding each day. I had to make a decision and I preferred to focus on my studies. I kept practicing basketball as part of the selection team of my university, but I thought that I had come to the end of my career as top athlete. But after my first day at CrossFit my competitive spirit was reborn. I had the gymnastics and athletics background, and to get there and not be able to do the exercises and having to scale them was very challenging. To be honest I only came back the next day because I was sure that nobody was going to show up at class. But I was surprised, everybody was already there and ready to train. CrossFit is a very physically demanding activity, a sport with a lot of different challenges that you never fully dominate, and that is very attractive to me. The first thing is not to let external situations affect me. I’m always in touch and talking to myself. Before an event you can see me in the warming up area walking around and talking to myself aloud. It’s a bit weird but it’s my way to try to be as concentrated as possible. I also go over the WOD I’m about to start and imagine myself doing it. I enjoy the moment, doing what I love with calmness, whilst pushing myself to my maximum. Fortunately I have the support of a sports clinic, SportMed, and a sports psychologist to help me to be mentally prepared. Box Jumps, I like any WOD that includes them. I find them dynamic and fun. Actually all gymnastic exercises and movements that require difficulty. Thrusters for sure, especially with a light weight and a lot of reps. The Open Competition. It´s tough because it is a blind competition and without having the competitor by your side it’s really hard to know how are you doing. I don’t usually stand out in WODs with little difficulty. I would say that for me the most difficult thing to master are the weights, at first I refused to lift heavy bars I preferred to use kettlebells or medballs, but I was encouraged to start lifting because somebody told about the existence of CrossFit competitions and that completely changed my vision of this sport. My background in gymnastics and athletics helped me to achieve the exercises quickly; muscle memory is wonderful. 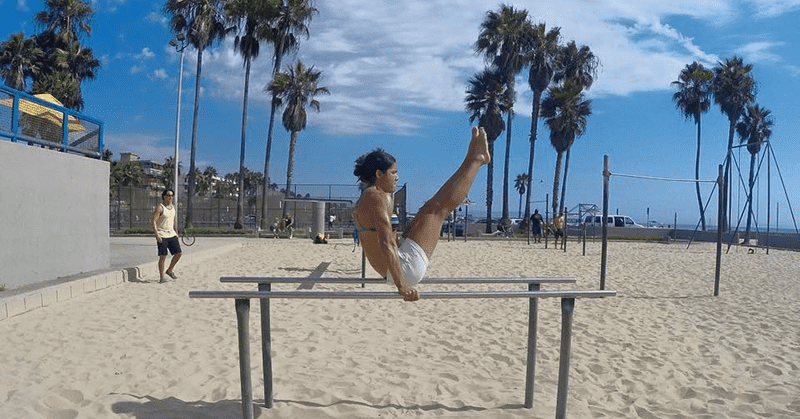 The rings is something that women do not perform in gymnastics, so the Ring Muscle Up was very difficult for me to achieve, at the end of each day I used to stayed for hours to practice them until I finally mastered them. Something similar happened with the kipping and butterfly because we used to practice everything strict. 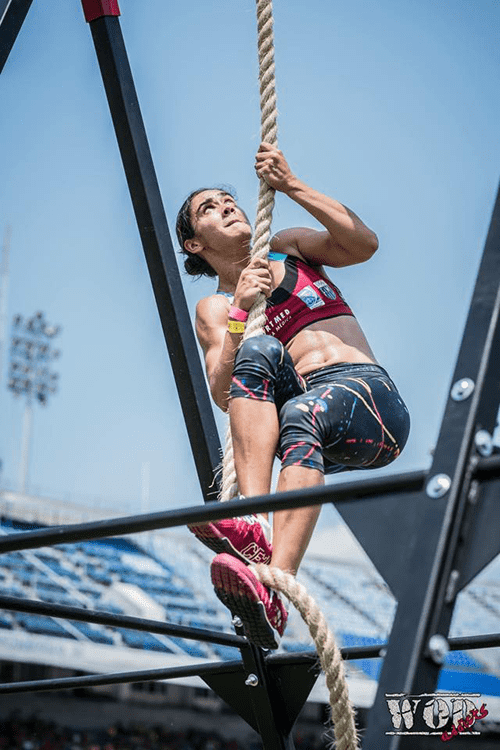 Who will win the 2016 CrossFit games in the Male and Female categories? I declare myself fan of Camille Leblanc-Bazinet but I love to think that amateurs or the less popular athletes will win. I would like to see new faces on the podium like this year, the podium was full of new ladies, that was amazing! How popular is Crossfit in Mexico? CrossFit is experiencing a BOOM worldwide and Mexico is no exception. A lot of people hear, read about or see a group of people running on the streets with plates, lifting weights, doing gymnastics and stuff. They maybe don’t understand it at the beginning, but are curious and want to know what Crossfit is about and they are joining the community. CrossFit started in Mexico roughly 4 years ago. Certainly, it had quickly expanded, we can see a clear growth of in quantity and quality of boxes in Mexico. 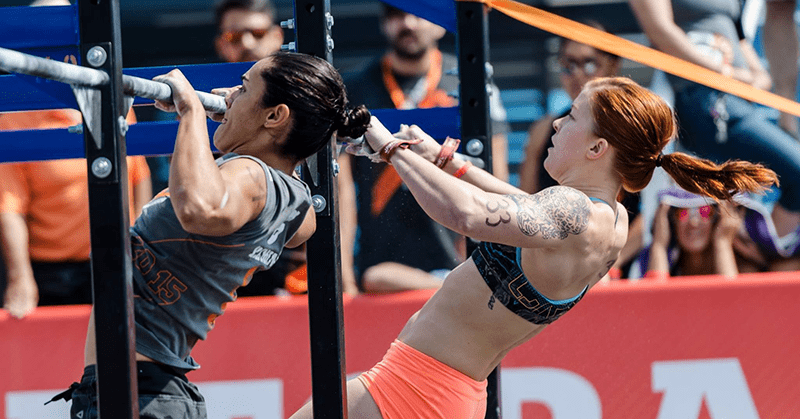 There are more competitions across the country with high organizational standards and competitive level, international athletes are coming to Mexico to compete and share with us their experience in CrossFit. Different big brands are supporting the sports and athletes, and also there are initiatives in our community like the “Black Team” that promote the sport and support national athletes. 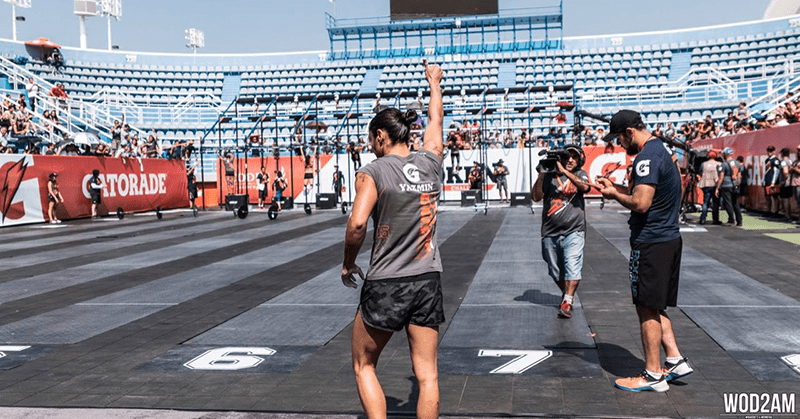 Why is Crossfit popular in Mexico? It’s a sport for everybody, it’s accessible and people like it because of all the positive and quick results that are obtained. I also think being close to the United States, it is easy for us to adapt to this lifestyle. What kind of people like to do Crossfit in Mexico? In fact everybody. From kids to adults, no matter their socio-economic level. 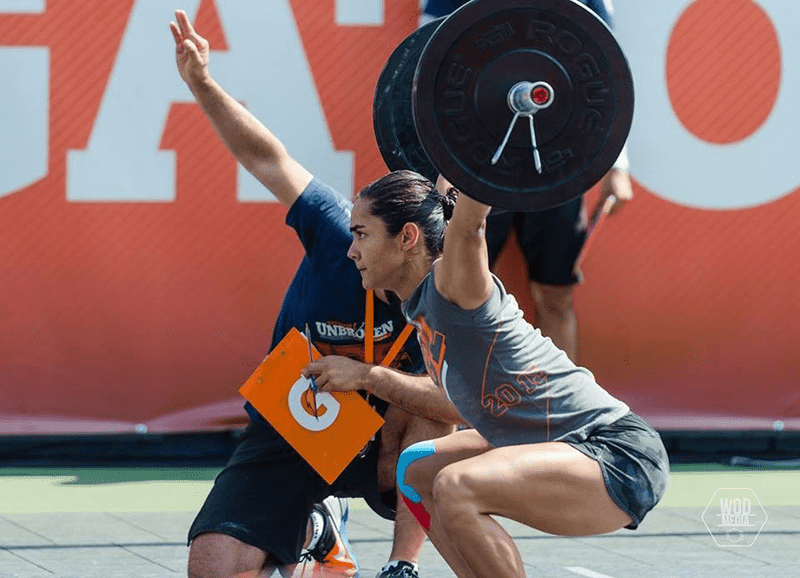 Do you think Crossfit can, or does have positive social effects in Mexican society? It does, CrossFit has a philosophy that impacts on the whole community, motivating us to have an active and healthy lifestyle. Unfortunately, Mexico has high levels of obesity in children and adults, but we fight against sedentary lifestyles every day. I like to go to the movies; I love Pixar and Disney movies. Watch TV, eat cookies and sleep. I take every free time I have to take a nap, actually I can fall asleep anywhere anytime. This athlete loves all the hardest WODS! Right now I am recovering from knee surgery that I had one week ago so at this moment, I would like to “auto heal myself” so I wouldn’t have to stop my preparation and I would always be physically able to do my training program. That’s a tough question! I think I would like to take my iPhone with me, so I could somehow communicate with the rest of the world. In my iPhone I have apps for mental training that my sports psychologist recommended for me, Fit Brains is my favorite, playing is the first thing I do when I get up at 5 am to coach at 6, it’s a way to start to activate the brain and is an activity that I enjoy when I’m by myself.